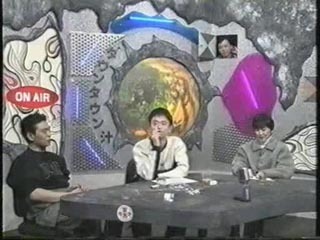 Guest: 松本伊代 (Iyo Matsumoto) - Actress and singer. A new year a slightly new format. From this episode the rest of the cast also get to ask the guest questions, though to do so they must poke their heads through little windows in the walls!